You wake up in the morning and start thinking what UA scrubs should you wear today? How are you feeling? Hmmm…. Am you in a red mood or in a pink mood? Colors can be expressive, emotional, influential and therapeutic. The effects are fascinating to see how people are more relaxed around green and blue colors versus reds and oranges. If you are not feeling refreshed or not in the mood to go to work and need something to put some pep in your step, red is actually the color to wear because it will give you that physical strength and energize your mind and body. When you understand color, you are more confident and feel attractive. What’s in your wardrobe? 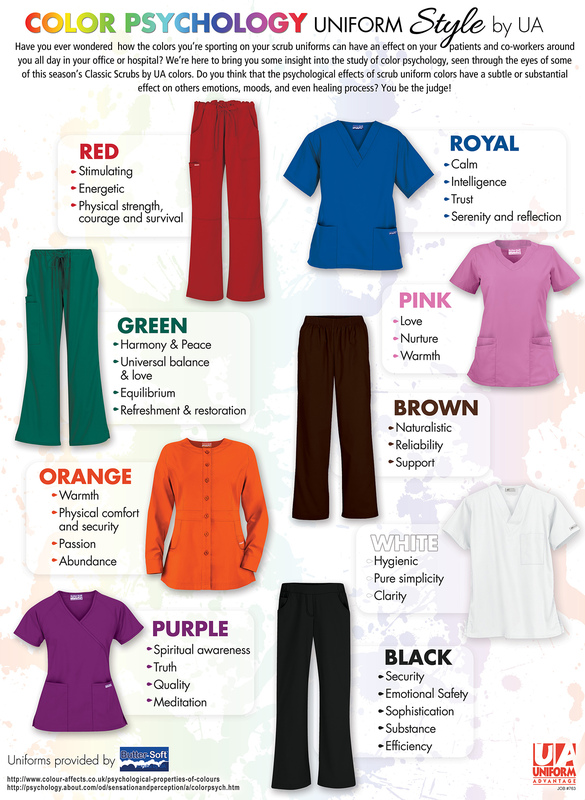 Have fun today and bring out your inner fashionista or modern man personality using this guide by UA Scrubs.